Chocolate comes, chocolate goes, chocolate disappears. And that's natural. 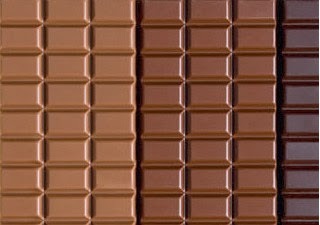 When you understand this, your relationship with chocolate can change. When you DEEPLY understand this, you will truly have no fear of anything at all. That allegory by Lama Yeshe conveys the essence of Buddhism, but it also contains another important teaching. Classical music is riddled with silly conventions. Less damaging conventions include composer anniversaries, binary mindsets, concert etiquette, proscenium arches, embedded journalists and classical charts. Among the more damaging conventions are celebrity, industry experts, discrimination, ambition and greed. But, just like chocolate, these damaging conventions come and go and finally disappear. And that's natural. When classical music understands this, its relationship with audiences - new and old - can change. When classical music DEEPLY understands this it will truly have no fear of anything at all. chocolate comes, chocolate goes..you know, for a while there I was all ears, Bob. but, but...this is sacrilege!